Bridge Development Partners, LLC announced its first acquisition in the Portland, Oregon market, with the purchase of a 35-acre land parcel located at 775 NE Columbia Boulevard. 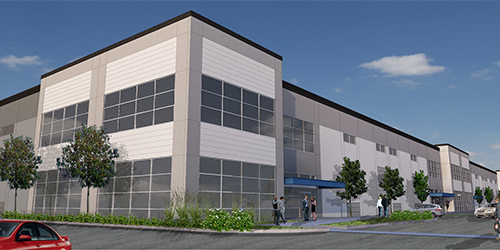 Bridge plans to construct two new best-in-class industrial buildings at the site, which will be called Bridge Point I-5 - Portland. The first building will comprise of approximately 425,000 square feet, and the second will comprise of approximately 225,000 square feet. During the due diligence period, Bridge worked through environmental concerns of the former landfill site - a complex process involving environmental, land, and zoning use issues - in less than 90 days. "Located on what was a complicated but exceptionally well-located site just outside of Portland's central business district, this project is ideally aligned with Bridge's core competencies, and it presented us with the perfect opportunity to break into this new market," said Justin Carlucci, partner, Northwest Region at Bridge Development. "Additionally, the site's heavy industrial zoning-coupled with the surplus of parking that it will offer-enables use by a variety of distribution tenant types with a wide range of size requirements." The 425,000-square-foot building has been designed with a 36-foot clear height and with 100 trailer stalls, ideally accommodating distribution-oriented tenants in the 150,000-425,000-square-foot range. The 225,000-square-foot building has been designed with a 32-foot clear height and 36 trailer stalls, tailored to distribution, manufacturing and other industrial tenants with requirements as small as 20,000 square feet. Bridge Point I-5 - Portland is advantageously-located, within 1.5 miles of two separate interchanges onto I-5 and less than seven miles from Portland's central business district. The site also offers access to Portland International Airport within minutes, and to other major interstates that serve the broader region. Bridge expects to deliver the project in late 2020. Brian Mitchell of Macadam Forbes represented the seller, Hanson Pipe, in the transaction. Tom Talbot, Zach Francis, and Karla Hansen of Kidder Mathews represented the partnership of Bridge Development Partners in the acquisition. Tom Talbot, a senior vice president at Kidder Mathews said, "We are pleased to represent Bridge Development on this strategic acquisition of Bridge Point I-5 - Portland. The property is the best located industrial site in Portland, with close proximity to Interstate 5 and Portland's central business district. This complicated project would not have been possible had it not been for Bridge's ability to solve problems quickly." Bridge Development Partners, LLC (www.bridgedev.com) is a privately-owned firm that focuses on the acquisition and development of Class A industrial real estate in the supply constrained core industrial markets of Chicago, South Florida, Northern New Jersey, Southern California and Seattle. Since its inception in 2000, Bridge has successfully acquired and developed more than 32 million square feet of industrial buildings/projects valued at more than $4.2 billion. Currently, Bridge has a strategic joint venture with investment partnerships managed by Banner Oak Capital Partners, L.P., a Dallas-based investment advisor. is a fully integrated real estate investment management firm focused on value creation and capital preservation across market cycles through active management and a commitment to the highest standards of excellence. The Banner Oak team has invested in and managed a diverse portfolio of real assets and operating companies representing multiple billions of dollars across the United States. These investments have spanned a variety of product types and strategies, including industrial, multifamily, senior housing, retail, office, hotel and residential lot development, and have included both debt and equity capital structures. For more information visit banneroak.com.